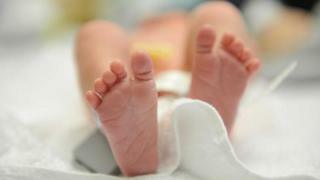 More should have been done to protect a four-month-old baby who suffered a broken leg and several brain haemorrhages, a report has found. Her mother and then partner were convicted of serious offences in relation to the child. The baby also had face injuries, bite marks, and retinal haemorrhages in both eyes. She and her three siblings became the subject of a serious case review by Leicester Safeguarding Children Board. It found the children lived "in chaotic circumstances", the Local Democracy Reporting Service reports. The review, which calls the baby Nadiya and her siblings Adrian, Jana and Mohini, said: "It took a crisis and injuries to Nadiya to ensure that all four children were effectively safeguarded, despite known risks to the children due to lack of supervision, drugs and alcohol use... and behaviour that indicated neither parent placed the needs of their children as a priority." It remains unclear how Nadiya's injuries were caused but Jenny Myers, from Leicester Safeguarding Children Board, said she was too young to have harmed herself accidentally. The report said Nadiya's mother and then partner were sentenced to several years in custody. There was no comprehensive pre-birth assessment when the mother was expecting Nadiya to establish how she would cope "or consider the risks posed by the father of Mohini or other partners of mother living in the household"
Nadiya made a full recovery and the children live away from their mother and respective fathers. The review made nine recommendations including implementing a review process when children have been subject to child protection plans for more than two years. Ms Myers said "the agencies involved have accepted that they could have acted sooner". She added: "Since these incidents, we have improved our policies, procedures and communication processes."